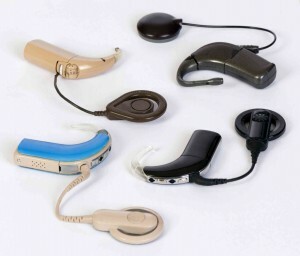 Summertime is upon us and that means sunny days, warm weather and lots of time spent outside, but, for those with hearing aids, summer can present some problems. Summertime is upon us and that means sunny days, warm weather and lots of time spent outside, but, for those with hearing aids, summer can present some problems. Hearing aids can be damaged when exposed to heat or moisture. Sweat and water are the two biggest enemies of hearing aids during the summer, and sharp temperature changes can cause condensation and an increased propensity to sweat. These are damaging to your hearing devices and may prevent them from working properly. Damage could result in distorted or weak sound quality, reduced battery life, and inconsistent functionality. There are many ways to keep your hearing aids safe and functional this summer, such as taking them out when exercising outside, if it is raining, or if the weather is extremely warm. At night open the battery door to allow dry, fresh air to move through the hearing aid and relieve moisture. Remove your hearing aids before showering, swimming, or any activity in which you will or could be exposed to water. Sunscreen has oils that can damage hearing aids, so apply lotions or sprays completely before putting on your hearing aids. Be sure that the sunscreen is fully rubbed in or dry before putting your hearing aids back on or the oils will seep into open seams and microphone ports or vents. You can buy a hearing aid cover that ranges from sweatband material to water resistant spandex. While these won’t protect your hearing aids while swimming because they can’t be submerged in water, they can protect them from excessive sweat, dirt, dust, and splashes of water, which can be extremely useful during the summer months. So, whether you want to take a jog, work in the garden, or go mountain biking, covers and sleeves can offer a good option for keeping your hearing devices dry and dirt free. Wearing a hearing aid should never stop you from performing all of the activities you can perform without one, as long as you’re conscientious and careful! Stay Tuned All Summer Long with Clarity Audiology! This entry was posted on Friday, June 23rd, 2017 at 5:13 pm. Both comments and pings are currently closed.